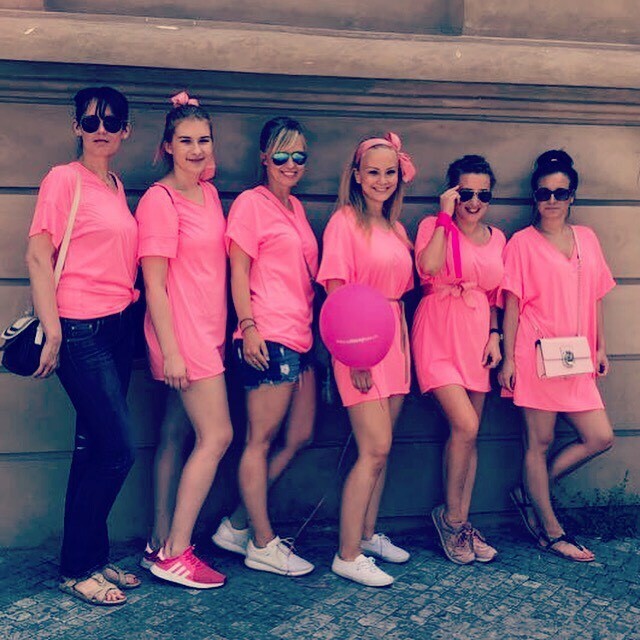 The FertiCarePrague Team participated the 18th annual AVON March Against Breast Cancer on Saturday, the 9th of June 2018. The breast cancer is one of the frequent malignant tumors in women that is why risk awareness and regular self-check-ups are extremely important. Early diagnostics of breast carcinoma leads to better treatment prognosis. The workshop on the correct self-check-up you will find on the #prsakoule – http://loono.cz/prsakoule. In case you detect some suspected changes or new findings while self-check-up, please do not hesitate to contact your medical specialist immediately. There are a lot of experienced doctors in Prague who are working in the field of diagnostics of breast gland diseases. For example, you may refer to Breast Unit Prague, leaded by Dr. Miroslava Skovajsova, Ph.D. the pioneer of the Mammalogical Screening in the Czech Republic. "Avon March for Healthy Breasts" is relatively well-known public event in the Czech Republic with annually increasing number of participants. This year over 20 thousand-attendants collected 7.4 million crowns by means of T-shirt-tickets – a financial support for women who are fighting against breast carcinoma. FertiCare Prague Team takes care for the health of all women not just for our clients. As an expression of our support and solidarity FertiCarePrague Team bought T-shirts “Klara” – the entrance ticket to the Prague march on Saturday, the 9th of June, 2018. "I am happy for every similar project that binds my Colleagues together and has a charitable background. I am delighted with our team of like-minders who is involved in such activities and supported by the management, "said one of FertiCare's team member, Denisa Hledíková.